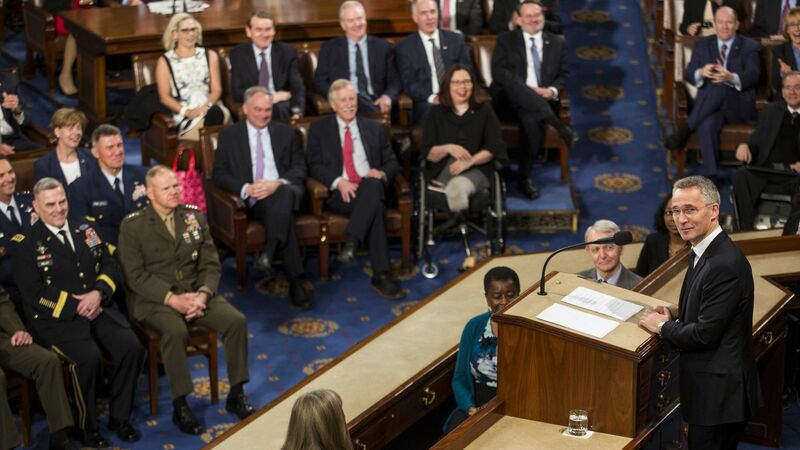 NATO Secretary General Jens Stoltenberg today made an impassioned case for the enduring importance of the NATO alliance, which marks its 70th anniversary this week, before a joint session of Congress. Stoltenberg said that among the “challenges no one nation can face alone” are a shifting global balance of power, sophisticated cyberattacks and emerging technologies like artificial intelligence that could be used in warfare. On a personal note, Stoltenberg reflected on being instructed to “hold the line” against the Soviet Union during his time as a conscript in the Norwegian army. He said Norwegian troops knew they could never fend off the Soviet Union alone, but could with NATO behind them. His bottom line: Stoltenberg was the first secretary general to address Congress. He said NATO had “not lasted 70 years out of a sense of nostalgia,” but because it was central to the national interests of its members.